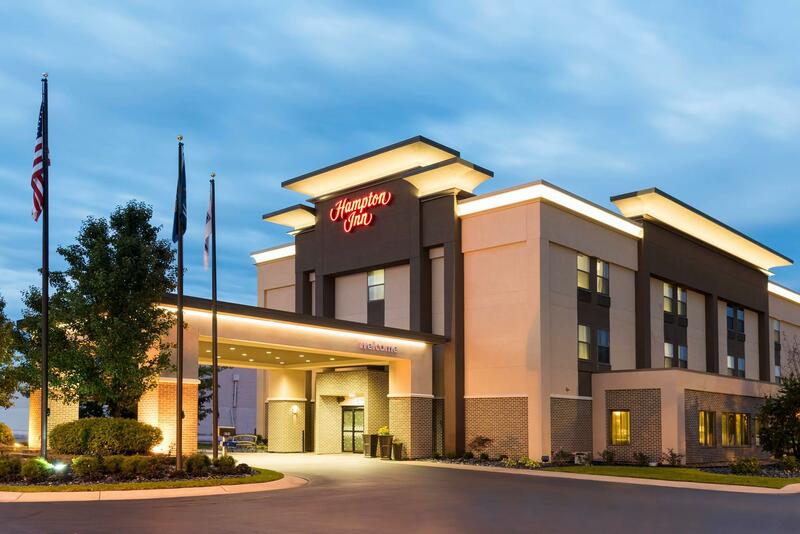 Trust the experts at the Hampton Inn hotel in Midland, Michigan to provide your special guests with the comforts of home and upscale meeting spaces when planning your next event. 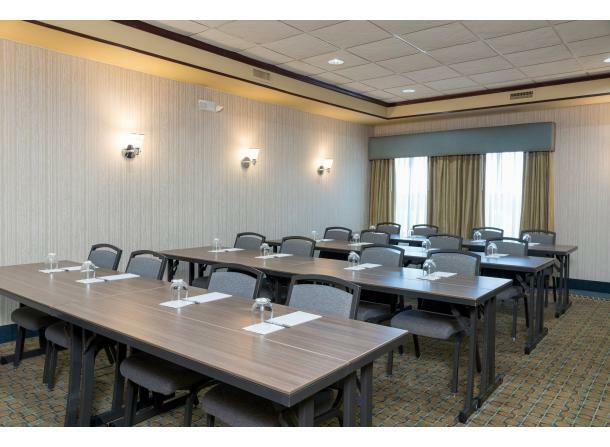 For corporate gatherings, special celebrations, or all-day meetings our Hampton Inn, Midland hotel has the resources you need to make your next event a success. Plan intimate events or small conferences in our 364 sq. 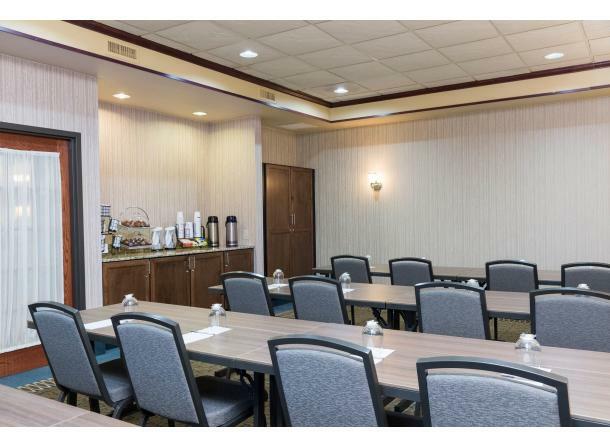 ft. of flexible meeting space with amenities such as free Wi-Fi and a daily hot breakfast. Let our friendly staff see to any needs you may have. 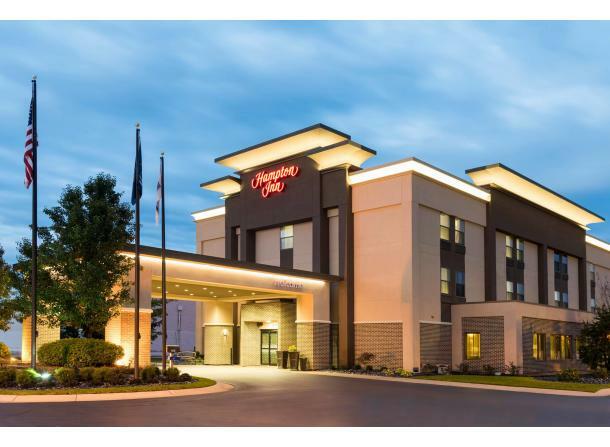 Description: Trust the experts at the Hampton Inn hotel in Midland, Michigan to provide your special guests with the comforts of home and upscale meeting spaces when planning your next event. 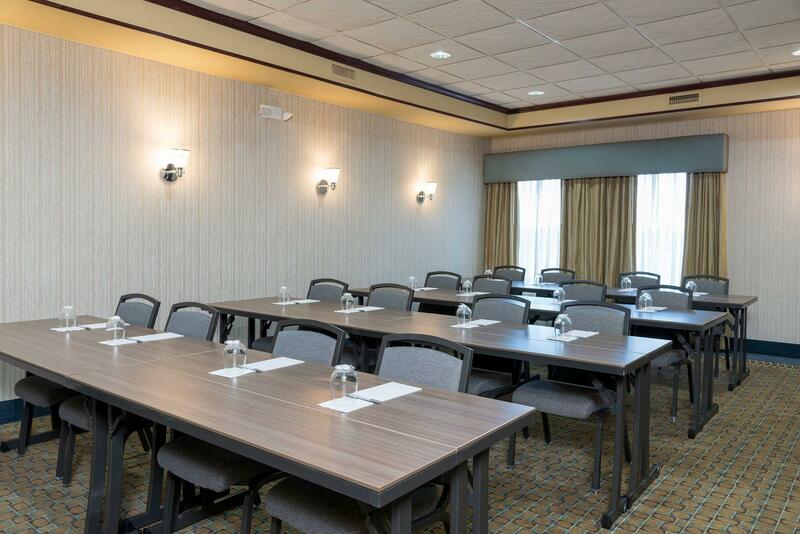 For corporate gatherings, special celebrations, or all-day meetings our Hampton Inn, Midland hotel has the resources you need to make your next event a success. Plan intimate events or small conferences in our 364 sq. 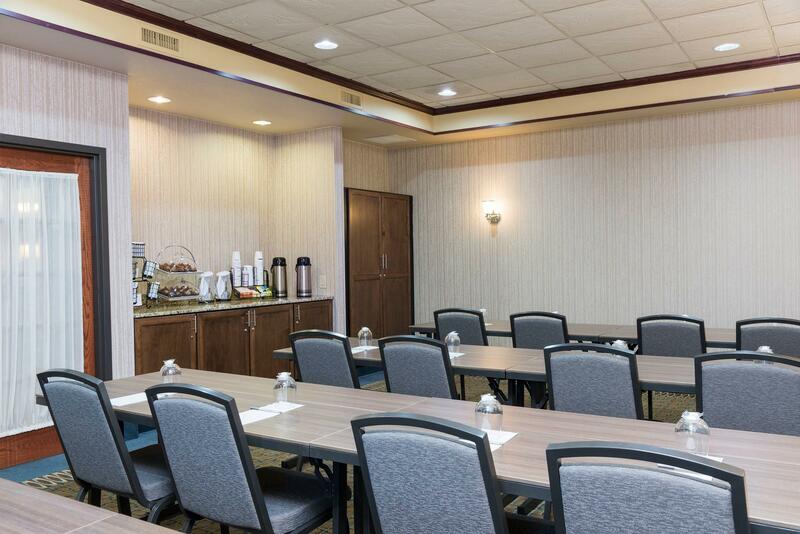 ft. of flexible meeting space with amenities such as free Wi-Fi and a daily hot breakfast. Let our friendly staff see to any needs you may have.